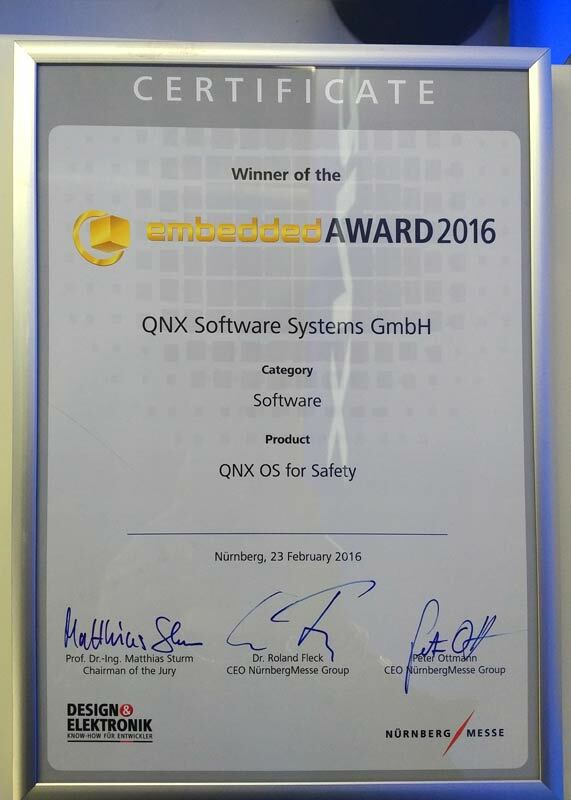 Earlier today, at Embedded World 2016, QNX won an embedded AWARD for its QNX OS for Safety, an operating system designed for safety-critical applications in the automotive, rail transportation, healthcare, and industrial automation markets. The OS was named best product in the software category. This award win is a testament to the commitment and integrity that drives QNX to continuously release world-class products. In fact, this marks the fourth time that QNX Software Systems has won an embedded AWARD. In 2014, it took top honors for QNX Acoustics for Active Noise Control (ANC), a software library that cancels out distracting engine noise in cars while eliminating the dedicated hardware required by conventional ANC solutions. The company also won in 2006 for its multicore-enabled operating system and development tools, and in 2004 for power management technology. The QNX OS for Safety is built on a highly reliable software architecture proven in nuclear power plants, train control systems, laser eye-surgery devices, and a variety of other safety-critical environments. It was created to meet the rigorous IEC 61508 functional safety standard as well as industry-specific standards based on IEC 61508. 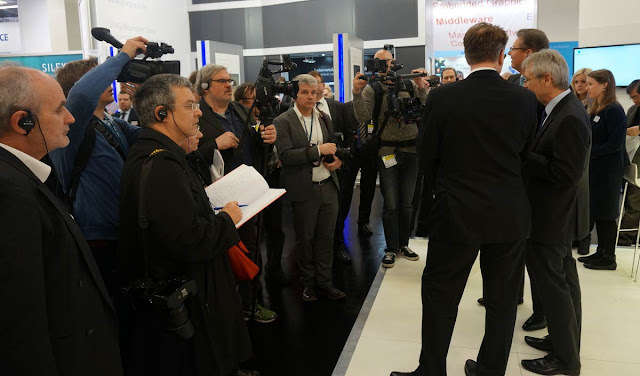 These include ISO 26262 for passenger vehicles, EN 50128 for railway applications, IEC 62304 for medical devices, and IEC 61511 for factory automation, process control, and robotics. Hats off to the many talented QNX staffers responsible for developing, certifying, promoting, and selling the QNX OS for Safety! The media scrum at today's award ceremony. Good news for QNX lovers...!